You know Makeup FOMO is dancing with joy when a new collab is released! 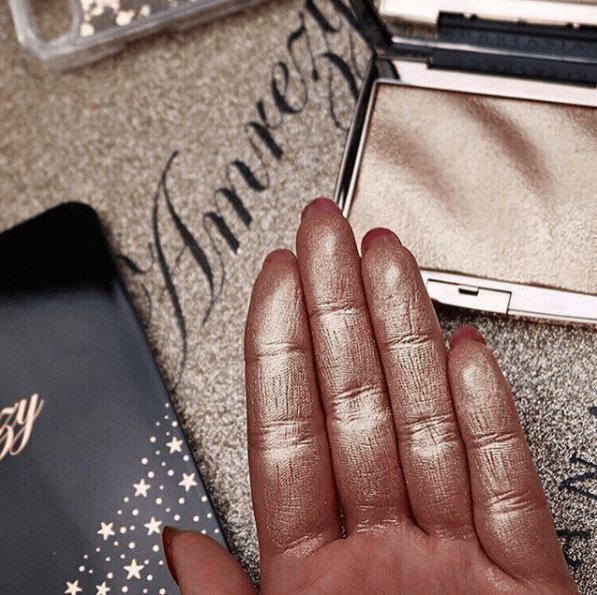 Anastasia Beverly Hills is launching a collab with Amrezy on Wednesday, 2.14! This highlight includes 31oz of product (dangggggg!) and is a champagne gold shimmer. It will retail for $28 and comes with a small mirror which we always appreciate. Our girl Kathleen Lights did a first impressions and review which you can watch below! I mean, just from that thumbnail, we’ve seen enough… it’s POPPIN’! We are in LOVE with the packaging of this beauty! 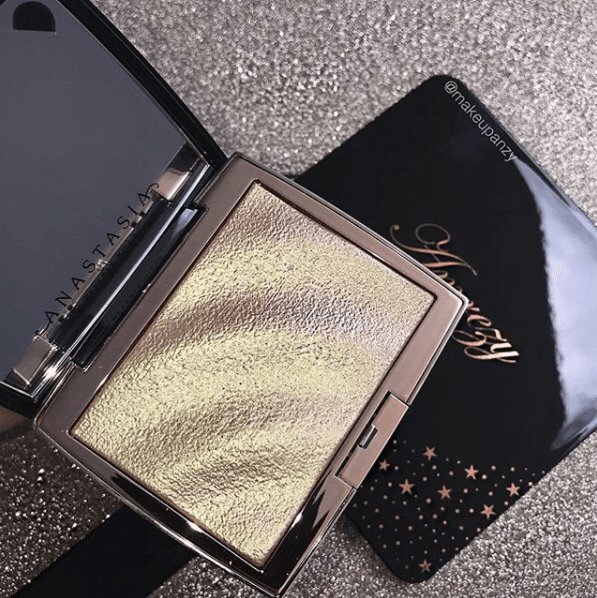 It’s very different for ABH and that is what we LOVE about it! Even the product in the pan is gorgeous! It looks like sand blowing in the desert, just like Kathleen said! But we aren’t so sure this one is worth the almost $30 price tag – yes, it’s stunning! But it doesn’t appear to be exceptionally pigmented right off the bat. I’m not sure about you, but I’d rather not have to build my products up. Whether its foundation, bronzer, highlight, etc., I want a one-and-done type of product. Ain’t nobody get time in the morning to spend layering up highlight, am I right?! I like to GLOW and GO, if you know what I mean. And also, to be honest, the market is seriously flooded with highlighters right now.. do we need another champagne gold? No. We really don’t. Do we still kinda love it cause it’s a collab? Maybe yes… but all that cash for ONE pan of product? We’re thinking it’s a pass.